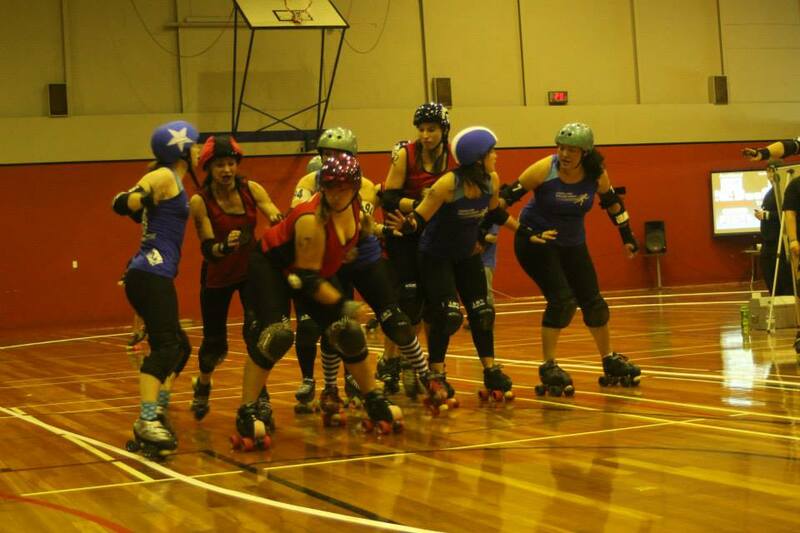 Saturday 6th of June saw Hells Wives travel south to take ARDL at YMCA Pitt Street! We knew this was going to be a hard fought battle but with changes in team lineups there may be a chance we could take up the challenge. 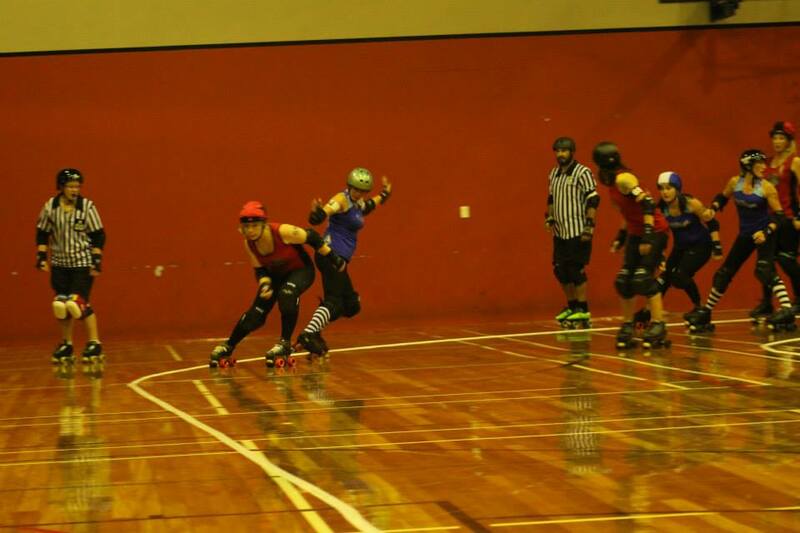 However it wasn’t to be; as per form ARDL played their usual awesome strategic game, not to mention mixing it up with some great blocking and tight walls, and our jammers struggled to get points on the board; final score Hells Wives 101 ARDL 248. 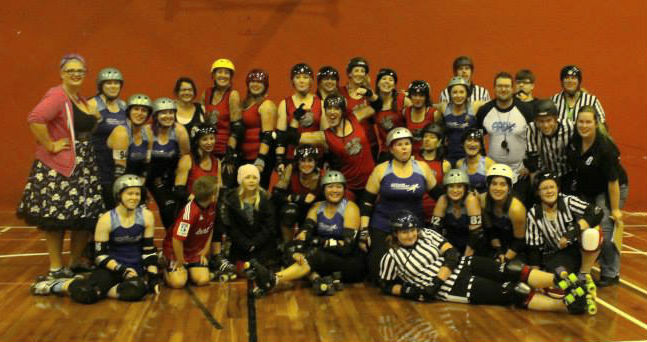 But as always a fantastic evening with one of the best hosts in Roller Derby! 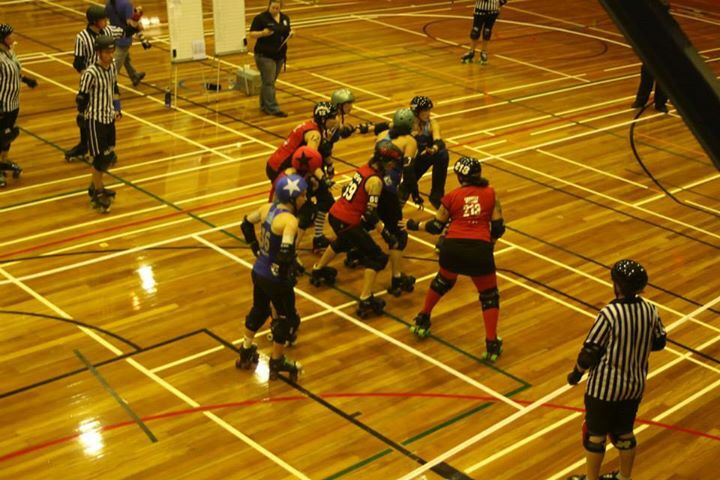 See you in July ARDL for the triple header with Nelson’ Sirens of Smash! 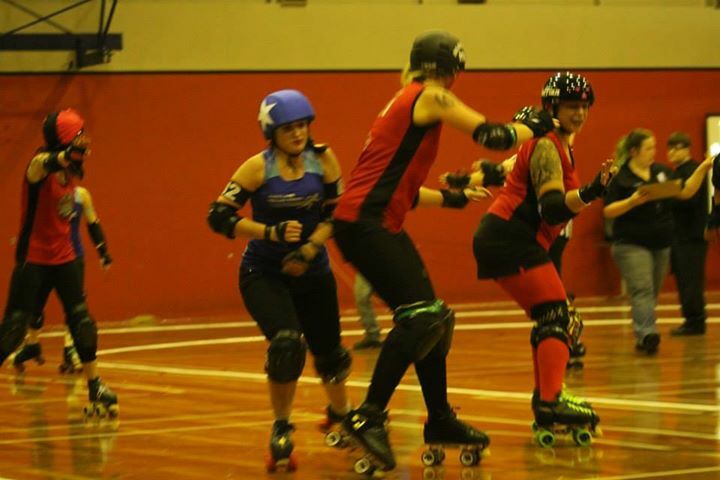 Next up Hells Wives take on Pirate City Rollers’ Broadside Brawlers! 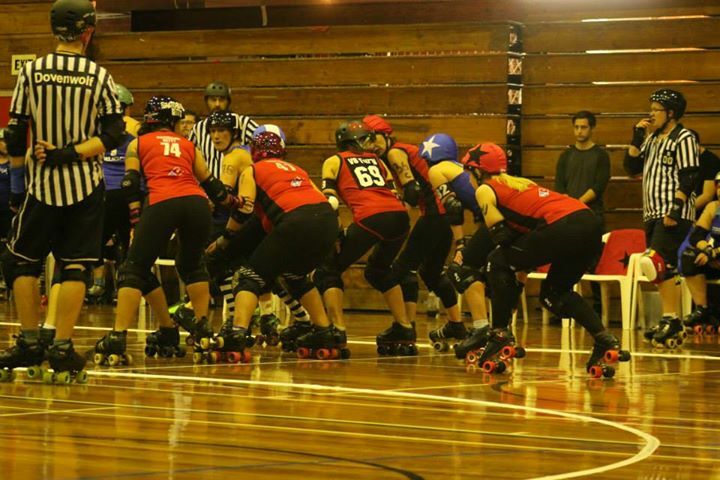 This entry was posted on June 11, 2015 by nnderby. It was filed under EVENTS! .